It is obvious that what we refer to as the “land issue” is currently perhaps the biggest political conundrum facing us all. Wherever you go, there is an opinion being expressed on the issue. Parliament’s committee has received over a 140,000 submissions just on the land issue alone. While the debate is usually reduced to land expropriation without compensation, how to manage the land we have is a truly complicated, difficult, and important problem today. The Gauteng Provincial Government has come up with a suggestion that may improve the lives of many people, and in the process could end up neutralising the EFF and Julius Malema. The Gauteng government’s plan is as simple as it is radical. As explained by the spokesperson for the Housing and Co-operative Governance department in the province, Keith Khoza, it would see unused small land parcels that are currently owned by the state being given to people who qualify. In return, they would be able to build their own homes on the land, but those structures must follow a series of designs approved by government. In other words, people who could build a home for themselves would be given the land on which to do it, and a little bit of guidance. You can imagine some of the business possibilities here, not least of a group of people being able to pool their money to build a series of homes in one go. Khoza says that as the policy was being implemented many people would realise that “if you rely on the state to build an RDP house, it’s going to take forever”. The province believes that this would speed up the process of getting people onto their own land, and in homes. Those who receive these parcels of land would receive title to it. It would be theirs, and no one else’s. Once you have received that title, you would be able to use that land as collateral for a loan immediately. However, if you wanted to sell the land, you would have to wait for eight years first, and you would have to give government the first right of refusal. This aspect follows the current policy as applied to those who do receive RDP houses. It is worth noting just how potentially significant a transfer of wealth this plan represents. This is government giving up an incredibly important asset, which is not being used, for the benefit of the poor. If it actually has the guts to go through the process in a meaningful way, it could be the biggest redistribution of wealth in this country ever. If social grants have played a crucial role in just keeping people alive, the transfer of land could offer the first real chance of an economically productive life. It also has the added benefit that this is one government programme that the rich should not be able to benefit from or take advantage of. However, its real importance will be that it could provide a real entry point for many currently excluded from the economy. There are millions of young and able people whose lives are devoid of any economic opportunities. If they are able to use an asset like this to get a loan to start a small enterprise, even if it is just a little bit of capital, they would suddenly have a chance to switch from exclusion to inclusion. Still, there are likely to be many roadblocks put up in the way of such a profound reform. Some opponents will demand that the ANC must still fulfil the promise of free housing for all it made in 1994, despite the majority seeing through the practical impossibility of such a promise in a country like South Africa. Then there will be others who will point to what looks like the contradictory position of giving someone title on land, of saying that it belongs to them, but then still having the power to dictate what kind of house or structure must be built on it. There are also likely to be the adverse reactions of those who currently live around or next to these parcels of land. In Protea Glen last week, people who owned bricks and mortar homes, and were probably the first in their families to ever own such valuable property, protested against the people who wanted to erect shacks near their properties, which they were afraid would make their properties worthless. For people who already own bonded properties, it is completely rational to do what you can to stop that property from losing value. It is also completely rational for those who have nothing and nowhere to live to occupy land that is currently unoccupied. It is likely that if, for example, a parcel of land were in the middle of a wealthy area, those residents could well oppose any plan like this being implemented in their back yard. The political impact of this could be fascinating, and profound. 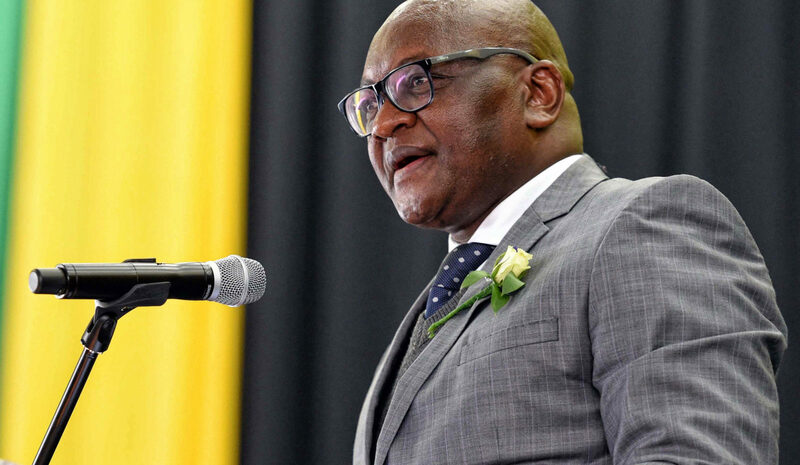 Gauteng premier David Makhura has said that he will name and shame those mayors who do not help him by passing on the unused land in their municipalities. Joburg’s Herman Mashaba must be wincing. In his previous life he was the chairman of the Free Market Foundation. Land tenure has been one of the major planks of their policy position for years. Now, he either has to roll with the punch or look inconsistent. Painful. However, the even greater political impact could be felt by the EFF and their Commander-in-Chief Julius Malema. A move as deft and practical as this one could be a death blow to their political agenda. The EFF says that it wants government to control all of the land, that it should be nationalised. One can bet a political life that for many voters, the prospect of actually owning their own land is considerably more attractive than simply being allowed to live on a piece of land that is owned by government and controlled in reality by some possibly corrupt official. If faced with the prospect of receiving a piece of land from the ANC or of the EFF controlling it all, the chances are high that only the few, and badly informed, voters will vote against the ANC. This could even be the start of a major policy plan by the ANC as a whole, that could really silence the shouting from the EFF, and even serve as the very effective “Shut Up!” for those in the governing party who are pushing for expropriation without compensation.